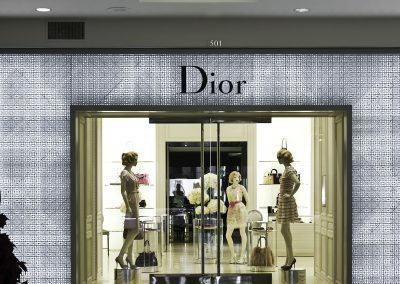 The Dior galleries indulge the modern, glamorous woman. 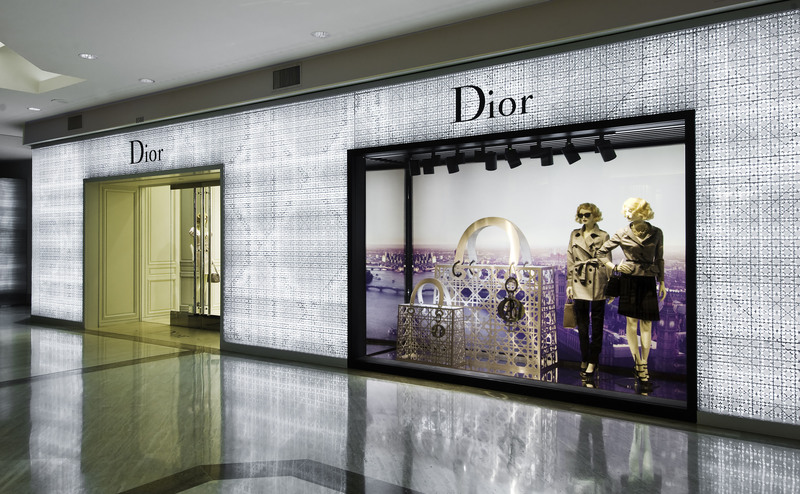 These destination shops feature ready-to-wear and couture clothing lines, leather goods, shoes, sunglasses, fine jewelry and timepieces. 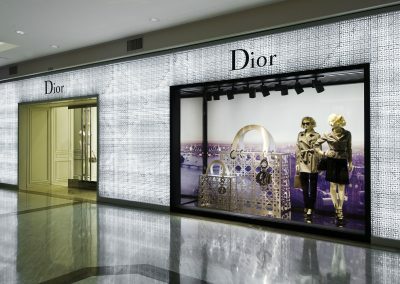 Elegant salons are surrounded by plasma monitors displaying digital artwork and feature world-famous French cosmetics and fragrances. 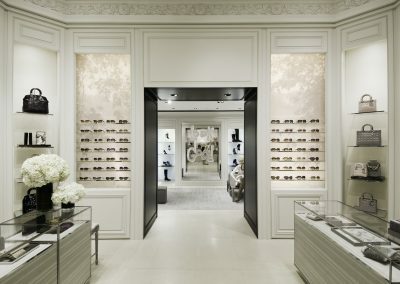 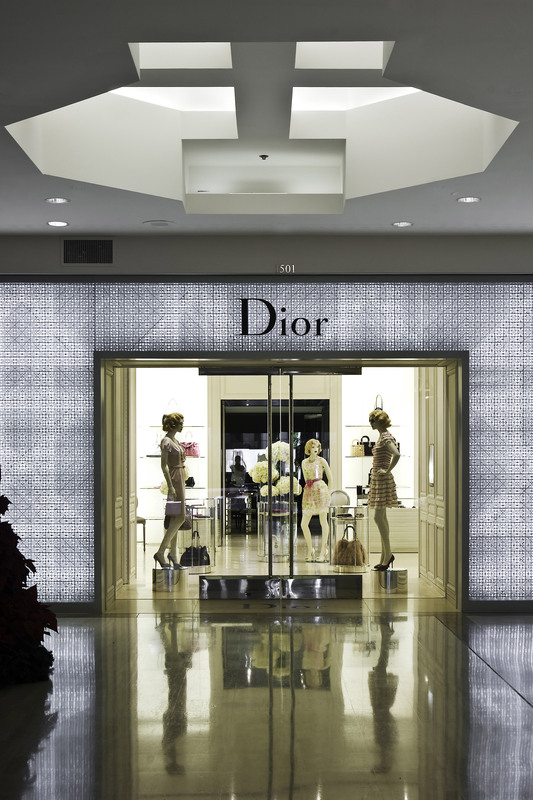 Storefronts feature double panes of backlit glass, which shimmers with Dior’s trademark cannage pattern.